274 volunteers of Wolf and Lynx Patrols together with the staff of Friends of the Earth Czech Republic (Hnutí DUHA and Hnutí DUHA Olomouc) participated in the year-round mapping of large carnivore occurrence signs and the monitoring of illegal hunting in the Beskydy Mountains, the Bohemian Forest, the Jeseníky Mountains, the Doksy Region, the Krušné hory (Ore Mountains) and other areas. 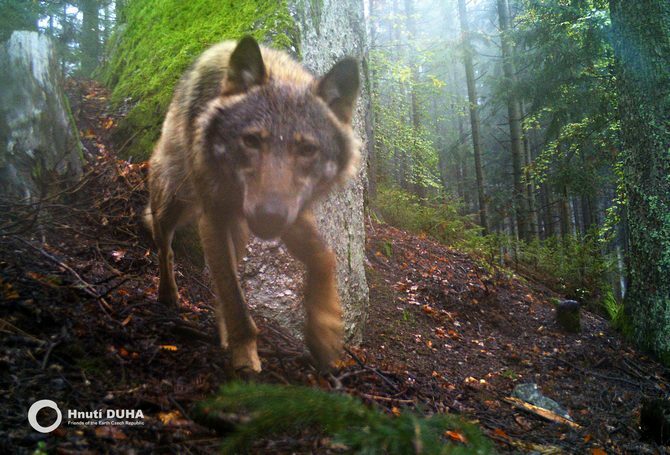 129 multiple-day Wolf and Lynx Patrols were organized in the Beskydy and Jeseníky Mountains, the Bohemian Forest and its foothills, the Novohradské Mountains, the Upper Palatine Forest, the Broumov Region, the Jizera Mountains, and the Doksy Region. 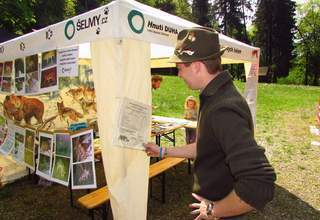 1,310 field trips - organized or individual - were made; during these trips, the volunteers of Wolf and Lynx Patrols and the field workers of Hnutí DUHA monitored the presence of large carnivores and other protected species in various areas of the Czech Republic and along the Czech-Slovak border. Thanks to this extensive field work, we have recorded 1,400 occurrence signs of large carnivores and more than 300 signs of the occurrence of otter, hazel grouse, and other rare forest birds. Several illegal meat baits were discovered during the field trips. We have successfully negotiated with the managers of concerned hunting districts to arrange the removal of such baits. 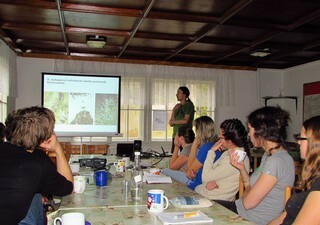 More than 2,300 authentic camera trap photographs and videos of lynx, wolves, bears, and wildcats, 339 DNA samples, and 208 faeces samples for diet analysis and parasitological examination were collected by the volunteers, Hnutí DUHA staff, and other individuals participating in the joint Czech-Slovak monitoring. Thanks to the intensive use of camera traps, we have obtained a number of unique images from the secret life of large carnivores (see links below). Miroslav Kutal led a team of researchers (including colleagues from Hnutí DUHA, Mendel University in Brno, and Spanish and Swedish scientists) that published a study in a peer-reviewed journal Plos One on the impact of wolf hunting in Slovakia on the population of grey wolf in the Beskydy Mountains (a summary of the study is available here). 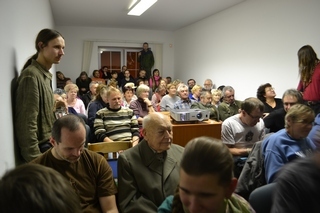 Miroslav Kutal, Michal Bojda, Josefa Volfová, and Jiří Beneš gave 23 lectures at conferences, universities, seminars, and workshops. Hnutí DUHA Olomouc (local organization of Friends of the Earth Czech Republic) presented the results of the previous two years of monitoring at the conference "Monitoring of important European carnivore species in selected localities within the Natura 2000 network", and published a detailed overview of these results. With our information stand dedicated to large carnivores, we participated in major regional events, notably the celebrations of Earth Day, eco-markets, fairs, festivals and livestock shows. We organized competitions for children and prepared a survey for adult visitors. In total, 15 information stands received estimated 15,000 visitors. We created 15 short information videos on large carnivores and their protection - in most of them, we used images and footage obtained through photomonitoring. For example, we shared videos of young wolves playing in the Kokořínsko-Mácha's Region PLA, the female lynx Lenka and Žofka with cubs and a young lynx in Javorník. We continued to run our large carnivore themed e-shop obchod.selmy.cz with products including organic cotton T-shirts and bags, DVDs, books, accessories such as jewellery and wooden toys, bear sprays, camera traps, and camera trap photographs. In 2016, we have expanded our range with the paintings of Ludvík Kunc, a zoologist and artist. We are very grateful to Mr Kunc that he offered his unique works to us. Profits from sale partially covered our activities for the protection of large carnivores. We have published a 2017 desk calendar containing the camera trap photographs of large carnivores and their stories. 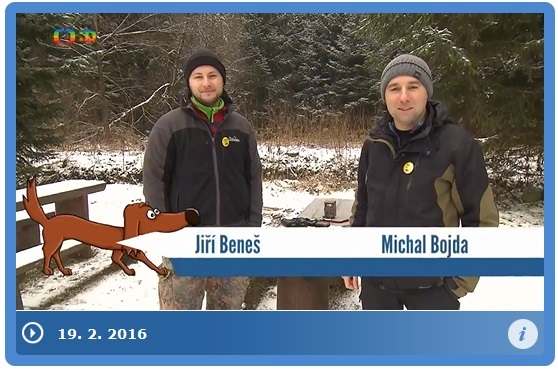 We organized 50 educational programmes for 1,596 students of elementary and secondary schools in the Beskydy and Jeseníky Mountains. Also in the Beskydy and Jeseníky Mountains, we organized 7 excursions for 129 school children. Travelling exhibition Living with large carnivores continued its tour of Czech towns and cities including Břidličné, Ostrava, Krásná Lípa and Police nad Metují. 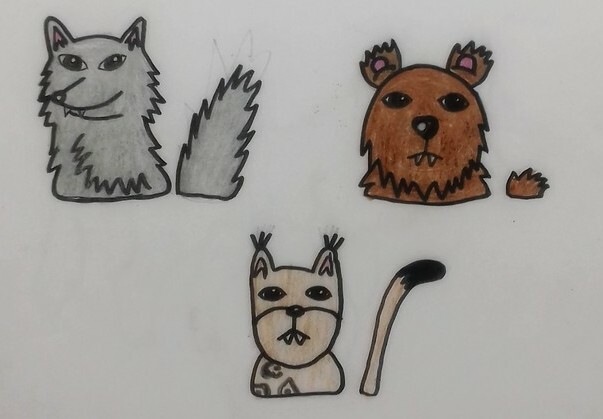 Our website www.selmy.cz was visited 254,156 times by 201,594 users who come here to look for regularly published new information on large carnivores (70 articles and press releases). This is twice as many visits compared to last year. We were also posting information and the latest news on our Facebook page Ochrana velkých šelem (Protection of large carnivores) which, by the end of 2016, had over 14,000 followers - the number nearly doubled compared to the end of the previous year. We published 12 issues of our electronic newsletter dedicated to large carnivores, which has almost 2,000 subscribers. We issued 16 press releases and opinion articles in relation to large carnivores and their protection. Several dozen popularizing articles, stories, and interview were created. We established the cooperation with the festival Ekotopfilm during which we presented Jan Svatoš's documentary Causa Carnivora in Jablonec nad Nisou, Česká Lípa, and Liberec. 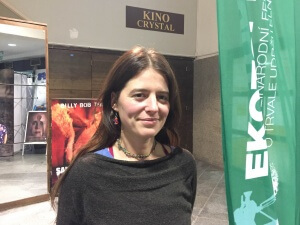 We also screened the documentary in 23 places across the Czech Republic (and two places in Slovakia) followed by a public discussion with at least one of our experts on large carnivore protection (the photo shows Alena Fousková). The film was seen by at least thousand visitors countrywide. On twelve occasions, we advised sheep and goats farmers on the effective protection of livestock against large carnivore attacks and the damage compensation claims. We arranged an electric fence for farmers whose livestock was at imminent risk. We organized several workshops in the Broumov Region and Northern Bohemia where, together with Nature Conservation Agency of the Czech Republic (AOPK) and Slovakian experts, we advised sheep farmers on the best practices for the protection of herds. 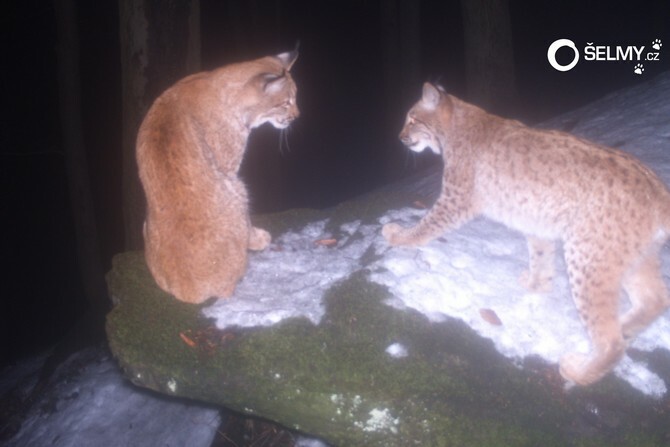 We arranged dozens of personal meetings and telephonic consultations with foresters and hunters in the Beskydy Mountains and the Bohemian Forest who cooperate with us in the monitoring of large carnivores. We made sure that migration corridors used by large carnivores and other mammals were protected in the newly discussed land-use plans in the Beskydy Mountains. We continued caring for trees in the wildlife corridor in Jablunkov - the project we had started in 2013 together with local residents and hunters and during which over 5,500 trees and shrubs were planted in four different locations with a combined area greater than 1 hectare. At the beginning of summer, the grass was cut around all the young trees. Already for the third time, we appealed against the decision of the Rožnov pod Radhoštěm City Office on the building of utility lines for the planned industrial zone in Zubří (located in a flood area and a migration corridor of large carnivores). At the beginning of 2016, the Zlín Regional Authority upheld our appeal and cancelled for the third time the unlawful decision. In 2015, the new zoning plan of Zubří was approved which does not contain an industrial zone (also thanks to our comments). The area is thus protected against any further development. 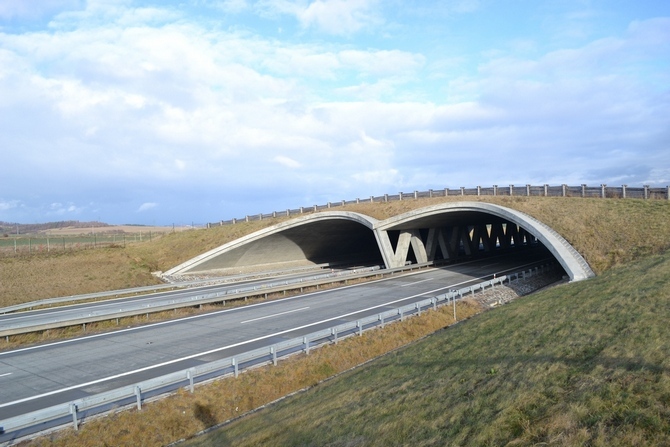 For the second year, we submitted our comments on the building of "hangar" sheep-fold (100 × 50m) in Videč, Rožnov region, which was to stand right in the middle of a wildlife corridor in the gap between two villages. Instead of covering the open countryside with concrete, we proposed the use of old agricultural brownfields, such as the one in the compound of the former agricultural cooperative in Videč. Together with local residents, we participated in public consultations on the project; at the beginning of 2016, the Zlín Regional Authority issued a negative opinion on the plan. We took part in a number of meetings on environmentally-friendly forest management in the Jeseníky PLA with the PLA Administration and Lesy ČR (state-owned forestry enterprise). In cooperation with the Beskydy PLA Administration, we achieved an introduction of the speed limit in 2 most important wildlife corridors, the Pindula Pass in Trojanovice and corridor near the Šance Dam. EuroNatur Foundation (http://euronatur.org/) - supported the monitoring of large carnivores in the West Carpathians (Czech-Slovak-Polish border) - a joint project of Hnutí DUHA Olomouc and Polish Association for Nature "Wolf"
START Danube Region Project Fund - supported the implementation of international project CONNECTGREEN aimed at the protection of environmental networks in the Carpathians, including the maintaining of uninterrupted wildlife corridors. Donations from individual donors helped to finance the protection of large carnivores (usually about 70-90% of project costs is covered by grants) and the costs of our participation in the decision-making processes. Nature Conservation Agency of the Czech Republic, Alka Wildlife, Anna Vančurová, Beskydčan (civic society), Czech Bat Conservation Society, Czech Entomological Society, Czech Society for Ornithology, Czech Switzerland National Park, Czech Union for Nature Conservation member organizations: Cieszynianka, Orchidea Valašsko, Radhošť, Valašské Meziříčí, Valašské ekocentrum, Velešín, Hořepník, Šumperk, and KOSENKA, Český Těšín Agricultural High School, David Valner, Department of Ecology and Environmental Sciences at Palacky University, Olomouc, Dolní Lomná village, Dušan Šmoldas, Eco-counselling Network STEP, Egeria, Faculty of Science at Charles University in Prague, Faculty of Science at University of Ostrava, Hračky Merhaut toy shop, IBO CZ, Jablunkov village, Jan Svatoš and Romi Straková, Krkonoše National Park (Administration in Vrchlabí), Lesy ČR (state forest enterprise) - regional directorate Šumperk, Mendel University in Brno, Moravian Ornithological Society, Museum of Beskydy in Frýdek-Místek, Nadační fond OKNO Olomouc foundation, Naše Triko, Olomouc City Hall, OP Tiger printing company, Protected Landscape Areas: Beskydy, White Carpathians, Blanský les, Broumov, Jeseníky, Jizera Mountains, Kokořínsko-Mácha's Region, and Litovelské Pomoraví, River Coalition, Rosička (registered charity), Slovak Wildlife Society, Sluňákov - Center for Ecological Activities of Olomouc, Společnost přátel Jeseníků (Association of Friends of the Jeseníky Mountains), Sprint printing company, Stowarzyszeniu dla Natury WILK (Association for Nature "Wolf"), Šumava National Park, Tereza Ondrušková, Terra Natura, TiNa printing company, Transport Federation, Union For the Morava River, WOLF Forest Protection Movement, Za krásnou Olomouc (civic society), Zdravý Rožnov (registered charity), and all the members, friends, supporters, and volunteers.